When will be Billy the Exterminator next episode air date? 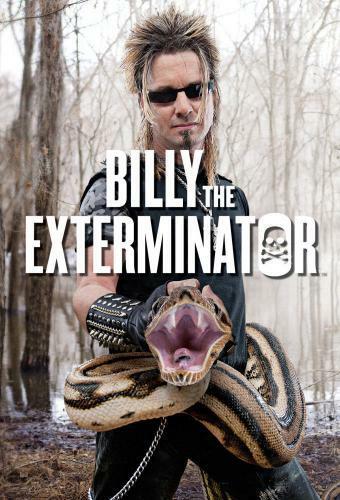 Is Billy the Exterminator renewed or cancelled? Where to countdown Billy the Exterminator air dates? Is Billy the Exterminator worth watching? Billy the Exterminator is an American reality television series which aired on the A&E network. The show followed the professional life of Billy Bretherton, an expert in the field of pest control and the proprietor of Vexcon Animal and Pest Control in Benton, Louisiana, which serves the Shreveport-Bossier metropolitan area. Billy and Terry are called in to remove a 150-pound, 9-foot-long gator from a nature-lover's pool; Billy tackles an apartment house infested with bedbugs. A magician's weird animal menagerie gets loose and terrorizes the residents of a retirement home; a skunk invades a maple-syrup maker's sugar shack. The victim of a fraternity prank wakes up with a post-party hangover and a goat in a nacho-filled kiddie pool; family members bunk together when flying squirrels take up residence in their attic. Billy gets a panicked call from a young animal-lover who inadvertently allowed a pair of reindeer to escape from a local petting zoo. Billy and Bea have to think fast, using ingenuity and muscle to gain control of the defiant animals. Then Billy goes swimming to catch a predator that's eating ducks in a rural woman's pond. Billy the Exterminator next episode air date provides TVMaze for you. EpisoDate.com is your TV show guide to Countdown Billy the Exterminator Episode Air Dates and to stay in touch with Billy the Exterminator next episode Air Date and your others favorite TV Shows. Add the shows you like to a "Watchlist" and let the site take it from there.